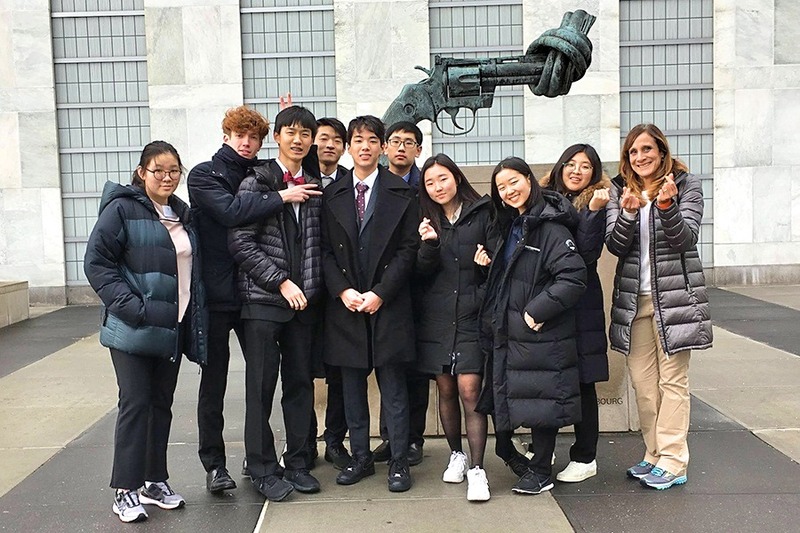 Despite battling US government shutdowns, cold weather, jet lag, and health issues, the YISS Model UN team was pleased to have had the opportunity to travel to New York City from January 15-20 to participate in the annual Columbia Model UN (CMUNCE) Conference. 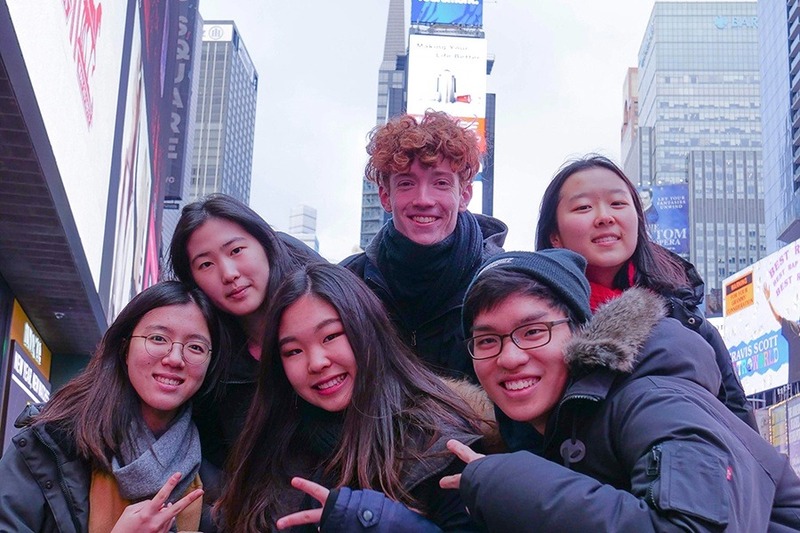 Building upon the experiences of last year, the team faced tough competition as schools from all over the US and other international teams from Guatemala, Mexico, New Zealand, and Puerto Rico descended upon New York for a week of "Crisis" Committees. This particular conference rewarded creativity, risk-taking, and quick-paced debate, which brought out the best in the YISS team. 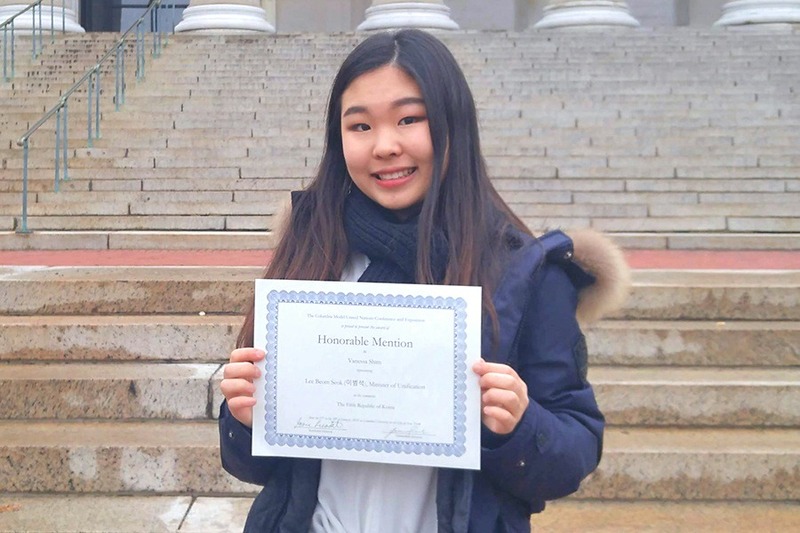 At the conclusion of the conference, Vanessa S. (12) was given an Honorable Mention award for representing Lee Beom Deok in the Fifth Republic of Korea Committee. While in New York, the team was also able to experience the city as they took a two-hour guided tour of Central Park where the guide regaled them with the tales and mysteries of the famous landmark. This was followed up with time spent at the Met Museum, as well as other excursions for eating and shopping. The highlight of the trip was on Friday morning when the team divided up with most visiting the UN while the remaining four accompanied Mr. Biersteker to the EU Delegation to the UN where they met the Dutch spokesperson and were informed and entertained with his take on current events both inside and outside the EU and UN themselves. Mr. Biersteker and Mrs. Atkinson would like to congratulate the entire team on a job well done and for representing YISS honorably both inside and outside the conference!